I’m an admitted music addict. When @jnomina told me about SongPop, I knew it was going to be a problem. The game gets a lot of credit for the design and forethought but for me, part of its credibility is lost when it comes to the use of re-recordings, live performances, and covers of the songs you’re expected to guess during the challenges. A recent game that I played included the song “Play That Funky Music” by the group, Wild Cherry but that band wasn’t identified. After I picked an incorrect choice, the correct answer was highlighted as Singers. Here’s the problem, the game’s makers are using poor compilations of different musical genres. For this game to have true credibility, the company needs to use the best known recordings and have someone fact checking the music samples and answer choices. Otherwise, it’s akin to asking a player to guess a celebrity’s face using a celebrity look-a-like. It doesn’t work. I don’t see me tiring of the game soon but I do see my frustration level continuing to build as I’m asked to listen for “Stand By Me” by Ben E. King using a re-recording that the singer did years after the song was a hit. I do give the SongPop crew credit because it seems like they are hearing their community’s concerns and trying to fix them as they are reported. 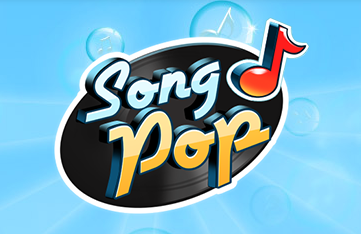 You can report any incorrect answers or problems you have at SongPop’s community support page. I know I’m not alone with my obsession and frustration of the game. I hope the SongPop designers correct some of these problems so that everyone can enjoy the game.